Board-certified Plastic Surgeon leads organization of distinguished plastic surgeons to promote the field of plastic surgery and support patient safety laws within the state of Florida. This appointment is by far the highest honor to date that I have received in my professional career. It is humbling to be elected as the leader of ones’ peers. 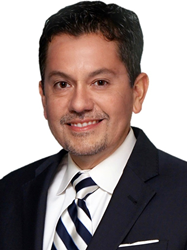 Mauricio J. Castellon, MD, FACS, Melbourne based board-certified Plastic Surgeon, and founder of the Castellon Plastic Surgery Center, has been appointed president of the Florida Society of Plastic Surgeons (FSPS). Castellon has served as an active member on FSPS board for the past eight years. 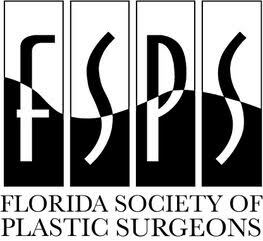 FSPS includes a distinguished group of plastic surgeons who are working to promote the field of plastic surgery through research, education, and advocacy in the state of Florida, and the rest of the country, for its members and general public. FSPS has championed and supported patient safety laws within Florida by directly advocating and promoting legislation within the state government and the Florida Board of Medicine for more than half a century. "Dr. Castellon’s leadership skills, plastic surgery expertise, dedicated FSPS Board members and endless energy are qualities that will continue to build our FSPS stronger, which makes him the ideal candidate for this very important role,” said Susan Russell, Executive Director for the Florida Society of Plastic Surgeons. “Under his direction he will support more than 150 FSPS members and over 600 plastic surgeons in Florida, continuing the necessary education to protect the public and support legislative efforts to ensure patient safety”. Mauricio J. Castellon, MD, FACS is the founder of the Castellon Plastic Surgery Center based in Melbourne, Florida. He is board-certified by the American Board of Plastic Surgery, and is an active member of both the American Society of Plastic Surgeons, and the American Society of Aesthetic Plastic Surgery. He currently serves as the president of the Florida Society of Plastic Surgeons, and chairman of Plastic Surgery for Holmes Regional Medical Center in Melbourne, Florida. His training includes general, plastic and reconstructive surgery from the Albany Medical Center in New York. He completed his undergraduate degree at the University of Florida, followed by his doctor of medicine degree from the Ponce School of Medicine. Castellon brings a refined skill set to Brevard County and Central Florida with unique expertise in full-body plastic surgery, reconstruction, rejuvenation, and minimally-invasive/non-invasive cosmetic procedures. Castellon is known for his understanding and compassionate bedside manner as well as his expertise with the latest and most advanced procedures in the field of plastic surgery. For more information about Castellon Plastic Surgery Center, visit http://www.drcastellon.com or follow us on Facebook, Instagram, Twitter, or Google+.